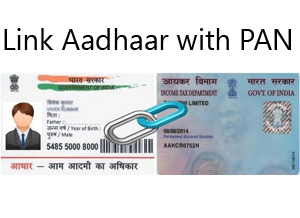 Daily Current Affairs (June 13, 2018) like many other sections is inevitable and this also helps to score in the Banking awareness , Static GK and Financial Awareness sections. Remember, Banking Awareness and Static Awareness Questions are asked from the General Awareness section. This will also help you to ride your preparations for the forthcoming exams. comprising 60 pilgrims will reach Kailash Manasarovar via Lipulekh. It was flagged off by Union minister of state for External Affairs VK Singh. There are two routes for Yatra-through Lipulekh pass(Uttarakhand) and through Natu La pass(Sikkim). 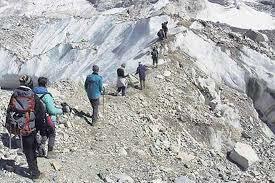 The duration of the Yatra via Lipulekh is 24 days for each batch including three days in Delhi for preparatory work. This route passes through important sites like Narayan Ashram and Patal Bhuvaneshwar among others. 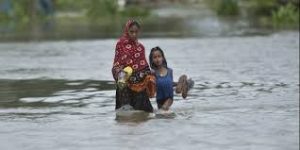 A new system and soil study data will soon enable the India Meteorological Department (IMD) to also forecast floods and guide the disaster management agencies on prevention techniques. Currently, the Central Water Commission (CWC) issues flood warnings. 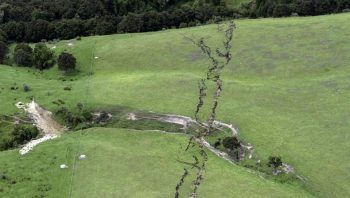 The national weather agency was preparing to launch this service from the next month by using the Flash Flood Guidance System (FFGS) for the first time in the country. Using the FFGS, the IMD will be able to issue accurate flood forecasts for different regions by assessing their specific geographical conditions and on the basis of the surplus rain forecast. The government has added ten Swachh Iconic Places (SIP) under phase III of its flagship programme, Swachh Bharat Mission. Raghavendra Swamy Temple (Kurnool, Andhra Pradesh), Hazardwari Palace (Murshidabad, West Bengal), Brahma Sarovar Temple (Kurukshetra, Haryana), Vidur Kuti (Bijnor, Uttar Pradesh), Mana village (Chamoli, Uttarakhand), Pangong Lake (Leh-Ladakh, Jammu & Kashmir), Nagvasuki Temple (Allahabad, Uttar Pradesh), Ima Keithal/market (Imphal, Manipur), Sabarimala Temple (Kerala) and Kanvashram (Uttarakhand) have been taken up under Phase III of the flagship project of Swachh Iconic Places (SIP) of the Swachh Bharat Mission. 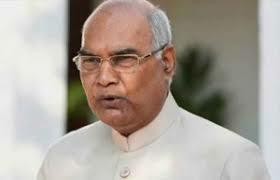 President Ram Nath Kovind will embark on a seven-day, three-nation tour this weekend in his maiden visit to Europe and Latin America as the head of the state. 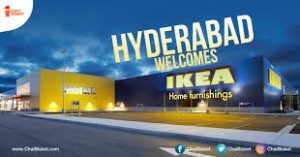 The Swedish furniture major IKEA is likely to inaugurate its first Indian store in Hi tec city,Hyderabad. They earmarkedbThis will create many direct and indirect jobs in the State. 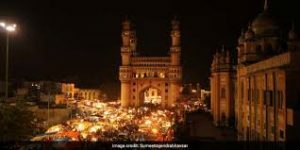 After the Hyderabad store, the second store will open in Mumbai in 2019, followed by Bengaluru and Delhi NCR. 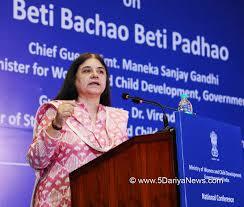 The selected schools, according to a statement from NITI, shall receive a grant of Rs. 20 lakh spread over the next five years to establish ATLs for nurturing innovation and entrepreneurial spirit among secondary school children across India. These additional schools will facilitate the creation of over One Million Neoteric Child Innovators by 2020. The 13th edition of exercise SURYA KIRAN-XIII, a joint military training exercise between India & Nepal ended at Pithoragarh,Uttarakhand. The training culminated with a 72-hour outdoor exercise in which troops of both contingents carried out a Cordon and Search Operation in a mock counter-insurgency village. The aim of the exercise was a joint training of troops in counter-insurgency, counter-terrorism operations in both jungle and mountainous terrain and disaster management. It was the first time when women soldiers of Nepal army will join the Surya-Kiran in Pithoragarh, Uttarakhand. The Ministry of Women and Child Development has launched ‘#YogaFor9to5’: A contest focused on generating awareness regarding benefits of Yoga at Workplace for Women. The idea is to make people aware at large that effortless Yoga Asanas can help in transforming one’s lives especially during a hectic working day. The contest invites self-demonstration Videos & Pictures of Yoga Asanas being practiced during office hours. International Yoga Day is celebrated globally on June 21. The Green Mizoram Day was observed on June 11 across the state with government employees, students and members of NGOs planting large number of trees. 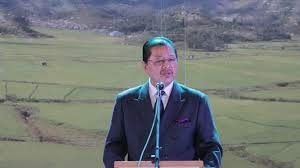 Chief Minister Lal Thanhawla inaugurated the Green Mizoram Day, 2018. The Green Mizoram Day is being organised every year on June 11 since 1999. The world’s two of the most powerful leaders US President Donald Trump and North Korean Supreme Leader Kim Jong-un held a brief one-on-one meeting at the Capella Hotel in Sentosa Island before beginning with their delegation level talks. 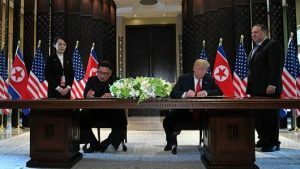 US President Donald Trump and North Korean Supreme Leader Kim Jong-un signed a vague denuclearization agreement in Singapore. 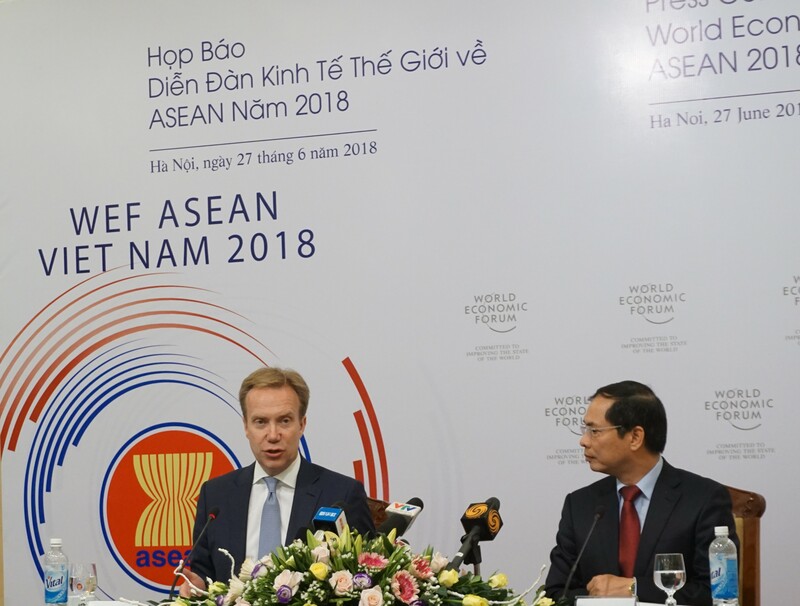 Both nations commit to establishing new relations in accordance with the desire of the people of the two countries for peace and prosperity. 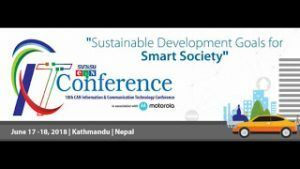 An International Conference on Information and Communication Technology (ICT) will be held in Kathmandu. The conference is organized by the Federation of Computer Association Nepal (CAN). The Reserve Bank came out with draft guidelines on loan system for delivery of bank credit to improve discipline among larger borrowers. The draft stipulates a minimum level of ‘loan component’ in fund based working capital finance and a mandatory Credit Conversion Factor (CCF) for the undrawn portion of cash credit/ overdraft limits availed by large borrowers. 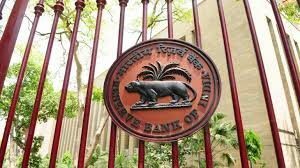 In respect of borrowers having aggregate fund based working capital limit of Rs 150 crore and above from the banking system, a minimum level of ‘loan component’ of 40 per cent shall be effective from October 1, 2018. Accordingly, for such borrowers, the outstanding ‘loan component’ must be equal to at least 40 percent of the sanctioned fund based working capital limit, including ad hoc credit facilities. The 40 per cent loan component will be revised to 60 per cent, with effect from April 1, 2019. 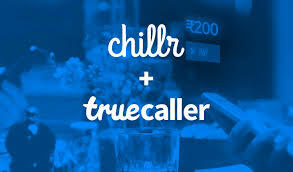 The Truecaller has announced its acquisition of Indian payments startup Chillr to strengthen its payments Truecaller will roll out credit and other financial services to Indian users in the coming months. Chillr co-founder Sony Joy will join as the vice president of Truecaller Pay. Truecaller has a user base of 150 million users in India. 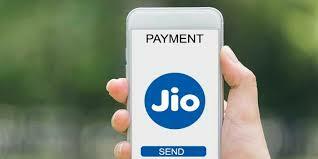 It also has 300 partners in the country, where it will increase its payments feature. The American fighter Ronda Rousey will become the first female MMA fighter to be inducted into the Ultimate Fighting Championship Hall of Fame. Her career span with MMA accounts to five years, where Rousey registered a record 12-2 amassing 12 wins, off which 11 came in the first round itself. She is first-ever women’s UFC champion and also UFC bantamweight champion from 2012 to 2015. 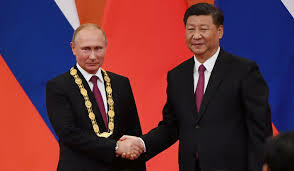 President Xi Jinping has awarded China’s first friendship medal to his Russian counterpart Vladimir Putin as the two leaders firmed up their alliance amid mounting US diplomatic and economic pressure on them. Last year Putin awarded Xi the Order of St Andrew for his distinguished service to the peoples of China and Russia. The Order of St Andrew, the Apostle of the First-Called was presented to Xi during his visit to Moscow. Indian long-distance runner, Gavit Murli Kumar has clinched the Gold medal in the Gouden Spike meet at Leiden, Netherlands. The 21-year-old runner was born in Dang district of Gujarat. Murli Kumar finished the race in 28:43.34; recording the all-time second-best time in the event by an Indian. The current record holder for the best time is Surendra Singh, who completed the same event (10000 m) in 28:02.89 at Vigo, Spain in 2008. 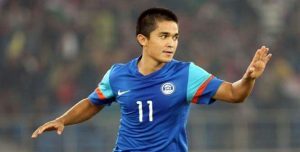 Talismanic Indian football team captain Sunil Chhetri became the joint second highest international goal scorer among active players along with Argentine superstar Lionel Messi. He made his 64th strike for the country against Kenya in the Intercontinental Cup summit clash in Mumbai. Chhetri and Messi are currently in joint 21st in the all-time list of goal scorers. The Indian is just one goal below former Chelsea and Ivory Coast stalwart Didier Drogba (65 from 104 matches). 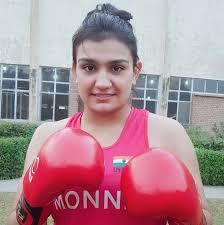 Indian boxer Saweety Boora claimed a gold medal in the Umakhanov Memorial Tournament after beating Anna Anfinogenova in the final in Kaspiysk, Russia. Among the men, world bronze-medallist Gaurav Bidhuri (56kg) had finished with a bronze after going down in the final. The Senior journalist Xavier Rutsa has passed away. 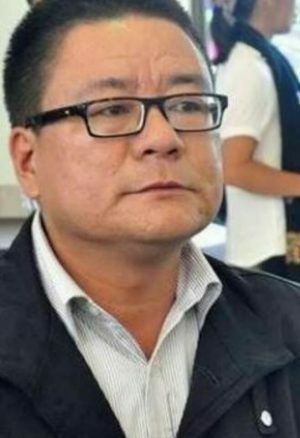 Besides being a senior journalist of the state, he was also engaged with various social organisations, especially sports bodies.